APU’s Bachelor of Arts in English equips students to make effective use of the written word. The skills that English majors learn—how to think, read, write, listen, and speak effectively—enable graduates to live successfully and contribute to society in all personal and professional endeavors. The English major provides a solid foundation in writing technique and linguistics, as well as world, British, and American literature, creative writing, significant authors, and the history of literary movements. English majors leave APU prepared to think critically and write compellingly. 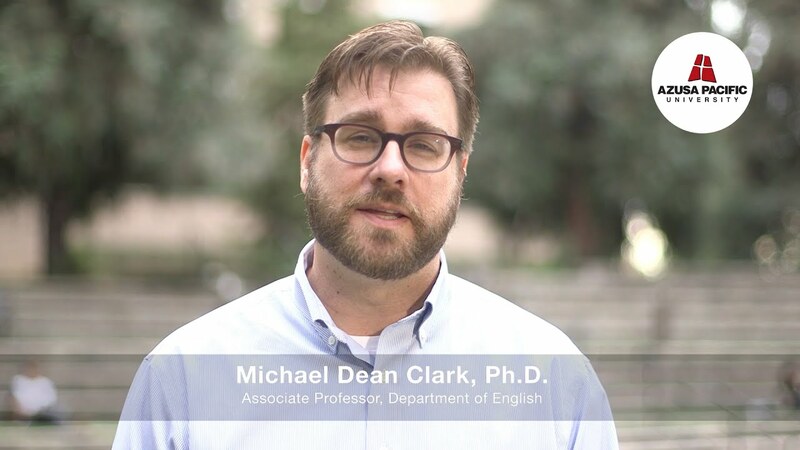 Get to know our Department of English faculty. Download the English Major Brochure to learn more about APU’s pathway from education to vocation, including graduate school and career opportunities. Enjoy reading, writing, and communicating. Want to gain expertise that is in demand and applicable to many fields. Are asked to proofread friends' papers. Love reading, and books are your constant companions. Would like to write novels, screenplays, or poems. Use language to reveal emotion and improve reason. The Department of English professors want to mold students into better writers, readers, and interpreters. I have learned how to formulate and articulate my ideas better than ever because of the assistance from my professors and the level of excellence they expect from APU students. My favorite thing about being an English major at APU is discovering the relevance between literature and Christianity.